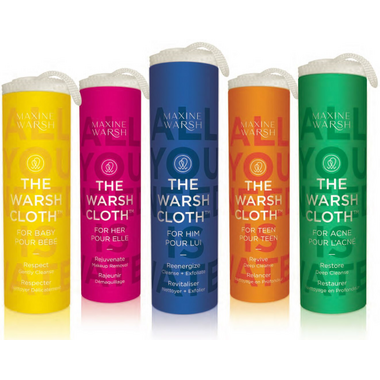 The Warsh Cloth is the anti-bacterial face cleansing system uniquely designed to save your skin from the harsh effects of soaps and cleansers. Rejuvenate, remove makeup, cleanse & exfoliate your skin all in one! Use fresh water to clean your complexion. 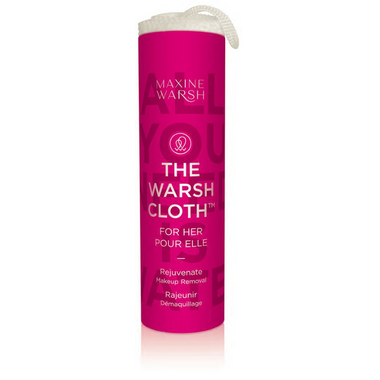 The 3-in-one best-selling Warsh Cloth is all you'll ever need to clean your face of grime and makeup. All you need is water to wash away makeup, deep clean the skin, and exfoliate while you wash (Warsh!). Never use makeup removers or cleansers with chemicals that dry your skin again. Super clean away muck and impurities naturally and exfoliate at the same time. Great for skin flareups and rosacea. Join thousands of happy customers and Happy Warshing! I love this thing! I can't figure out what the difference is that makes it so great but it's awesome at getting makeup off and really easy to clean after - even mascara smears! I found I was going through a lot of prepackaged wipes to remove eye makeup (mascara is hard to get off). I have been using this cloth for about a month and it really does work easily and cleans up nicely. The only thing that bothers me is the synthetic feel--polar fleece gives me the creeps so I should have known better. However, I'm still using it because it's that good.